Prolific Works Author Accounts are used by authors to upload their books, create giveaways, and join group giveaways. 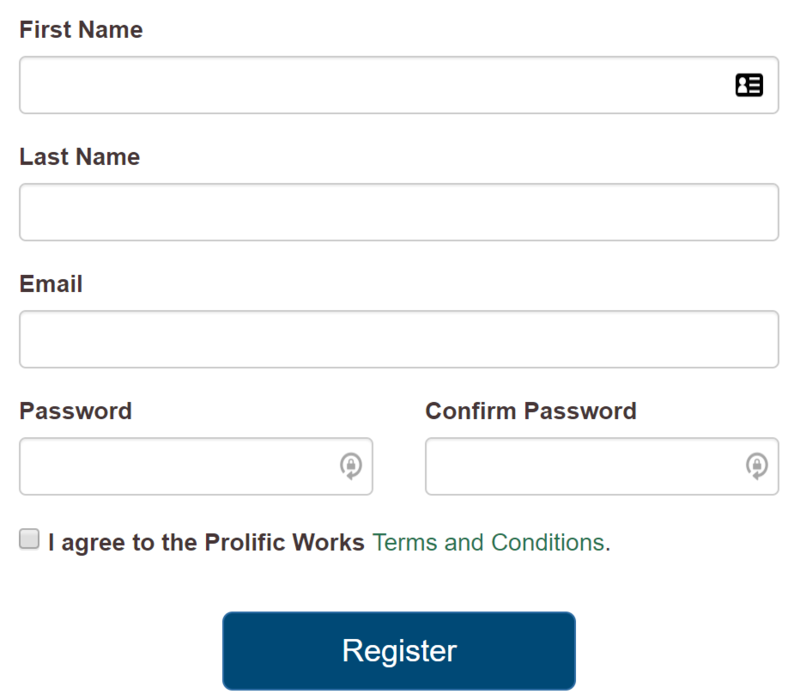 In the upper right-hand corner, press "Free Sign Up." Enter in your personal details. Please do not enter in your pen name as your first and last name. After you have read our terms and conditions, press "Register." 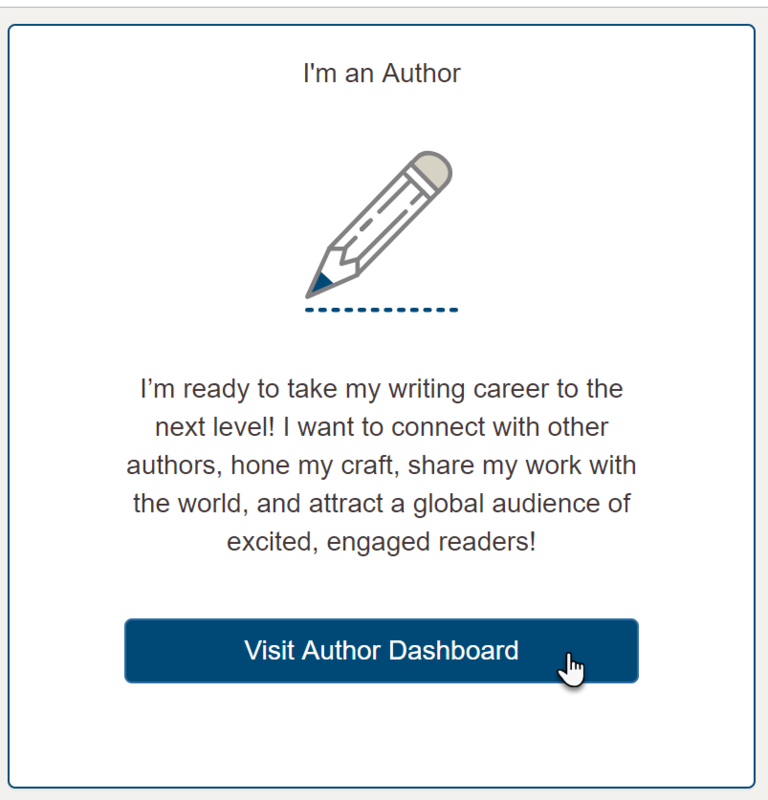 Press "Visit Author Dashboard." This marks your account as an author account. 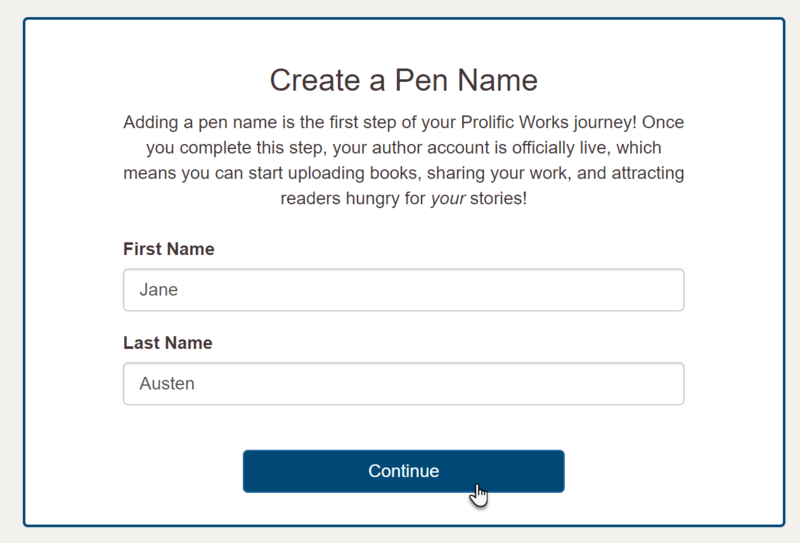 Enter your pen name details, and press "Continue." Check your inbox for an email from Prolific Works with the subject "Prolific Works - Confirm Account." Inside this email, press the button "Confirm Account" or copy and paste the link below it into a new browser window. Congratulations! You now have a Prolific Works Author Account!